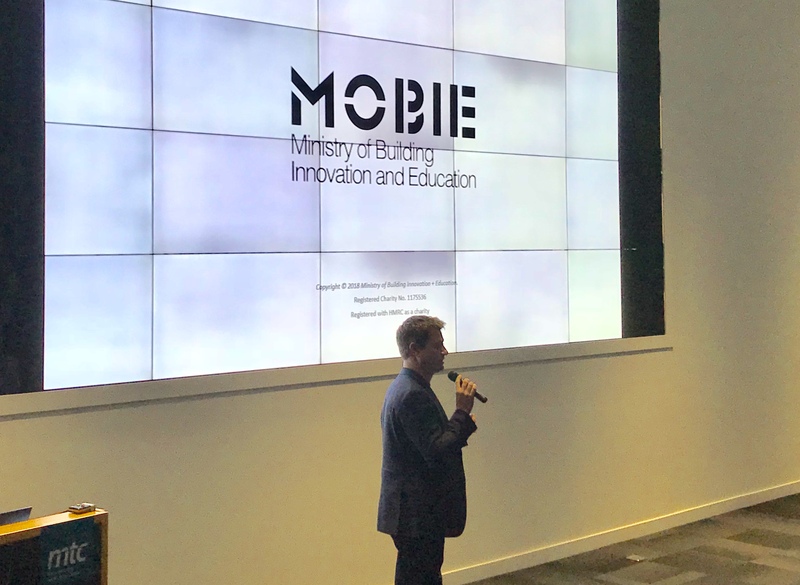 Transforming Construction with the MTC and George Clarke’s MOBIE. 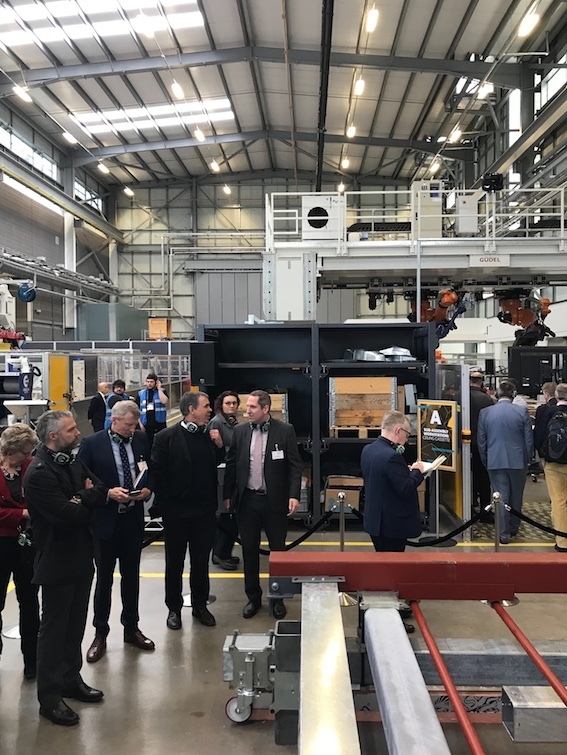 Neil Rawlinson from the MTC stated that the construction sector is unique, in that it still combines many individual components, but not in a process controlled environment such as a factory – it is done on-site. 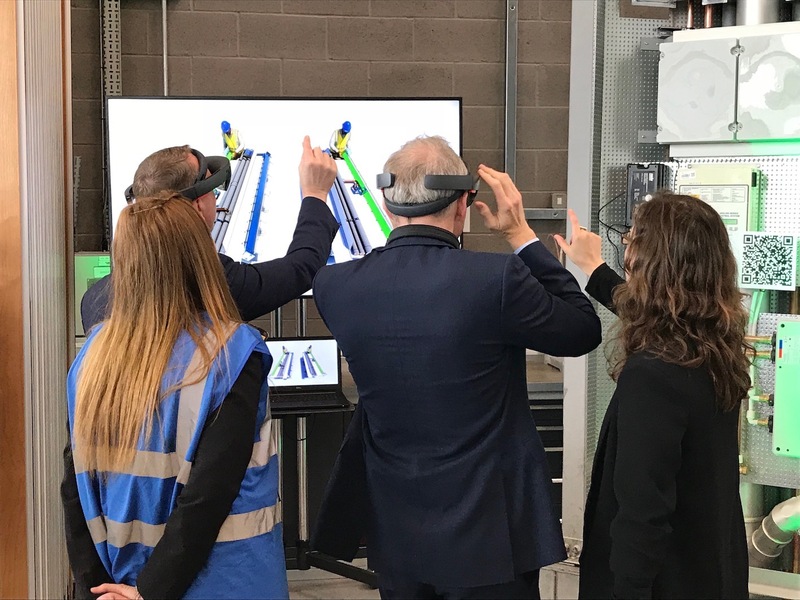 He highlighted the challenges the industry faces with a big skills gap, low margins, constant delays and accidents on-site and suggested a complete re-think towards a different system for designing and delivering buildings is needed. One where there is a modularity, where there are less components assembled on site, requiring less skilled labour and less handovers from one trade to another, reducing delays and reducing risk of accidents. Mike Pitts from Innovate UK suggested there were some exciting developments with regards to the Industrial Strategy Challenge Fund and how it may support manufacturing and construction particularly. He echoed Neil’s points around taking learnings from other industries and suggested that a Component -> Platform -> Product approach may be the way forward. A component being building materials, systems and services, a platform being a modular house or a panel of a house and a product being the finished home. He suggested that if this approach was taken, combined with a mass customisation of a few ‘platforms’ or house offerings, then the industry could increase the options for the customers/homeowners but reduce the variables on-site and in the supply chain. Later in the day we got to see first hand some of the innovative work that the MTC is carrying out with Brydon Wood on this kind of approach for commercial, public projects – where they are assembling components in factories, in controlled environments to be assembled on-site to reduce time delay with projects in the build phase, improve quality and improve health and safety. George Clarke introduced the MOBIE concept focusing on how the industry should not always be focussed on time and cost – there is the forgotten measurement of quality! The idea behind MOBIE is to educate and inspire the next generation of designers, architects and practitioners to look at how we can make buildings BETTER and we need to focus on making the industry as a whole more attractive for the up and coming bright minds. This is something we resonate with at Adaptavate and part of the reason why Tom has been asked to give talks at schools and universities – to inspire the next generation. At Adaptavate, we believe that homes are our third-skin, a place of shelter, security, growth and where we bring up our families. We spend 90% of our time indoors so we need to make them healthy. This is something that MOBIE share with us – they want to innovate to develop BETTER and HEALTHY housing that looks great and inspire people to make this happen. A great message to resonate with change makers in our industry and we want to collaborate with people like this.